Synopsis:A teacher is looking for a school by the name of Seishou Academy, as he is a new transfer teacher for that school. Seishou Academy is known for having students with excellent marksmanship. However, he gets lost along the way and decides to look for someone who knows where the school is at a summer festival. 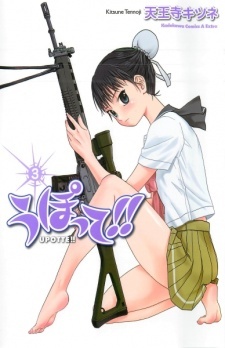 He encounters a girl at a shooting range and finds her marksmanship skills to be professional. The girl tells the new teacher that she is an assault rifle, not a student. Her name is FNC and is an assault rifle of Seishou Academy. The new teacher attends school the next day to find students, including FNC, practicing shooting M16s and realizes that he has come to an unbelievable school. How will his experience be at Seishou Academy?